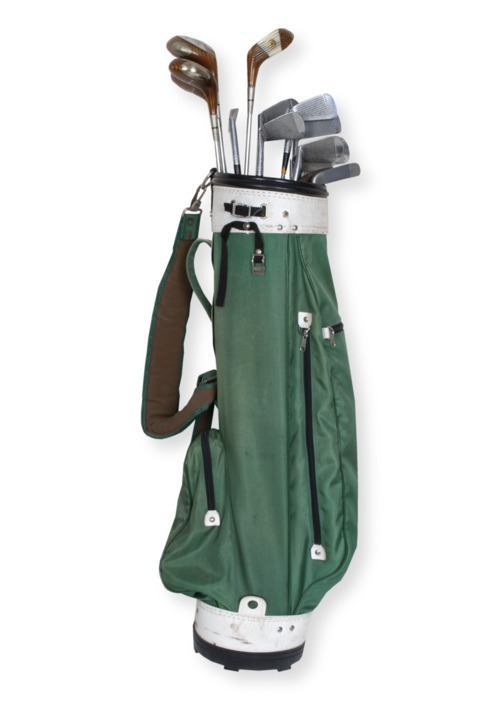 Golf bag with two zippered compartments, used to hold a set of clubs owned by Tillie Becker (1912-2002) of Topeka. Becker won the Kansas State Women's Golf Championship four times, in 1941, 1949, 1950, and 1951. She also won the Topeka women's championship 25 times. Becker's daughter, Marsha Williams, donated the clubs.